Backed by professionalism; we are offering Di Acetone Alcohol to our clients. 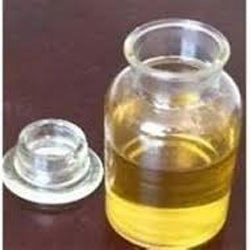 It has Acetone as main ingredient and is completely soluble in water. Accurate composition, long shelf life and non toxic nature are other prominent attributes of this Di Acetone Alcohol. The complete range is tested on well defined parameters of industry before delivering it to our clients. We ensure that this Di Acetone Alcohol is able to meet the requirements of our beloved clients. Looking for Di Acetone Alcohol ?